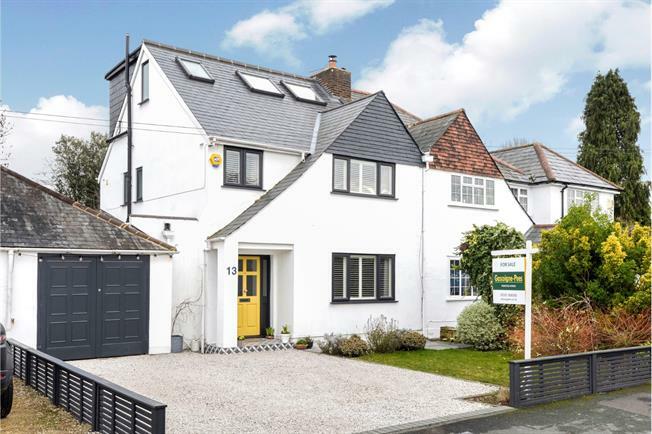 4 Bedroom Semi Detached House For Sale in Esher for Asking Price £1,139,950. This immaculately presented home provides spacious accommodation over three floors. A covered porch leads through to the large reception hall with a downstairs cloakroom, study, lounge; and impressive vaulted kitchen/dining room with adjoining open plan playroom. On the first floor there are three bedrooms and a family bathroom. The large principal suite can be found on the second floor. The gardens are of excellent proportions, having been landscaped with areas of lawn and flower beds hosting a range of mature shrubs and trees. The rear garden extends to approximately 100' with a large patio area, offering an ideal area for al-fresco dining, accessible directly from the kitchen/dining room's bi-fold doors. To the front, a driveway provides ample parking and leads to the attached garage.